I'm sure by now you've all heard about Gammill's Quilting with Confidence 2019 Tour. If, by chance, you haven't, read on! I am super crazy excited about the tour! 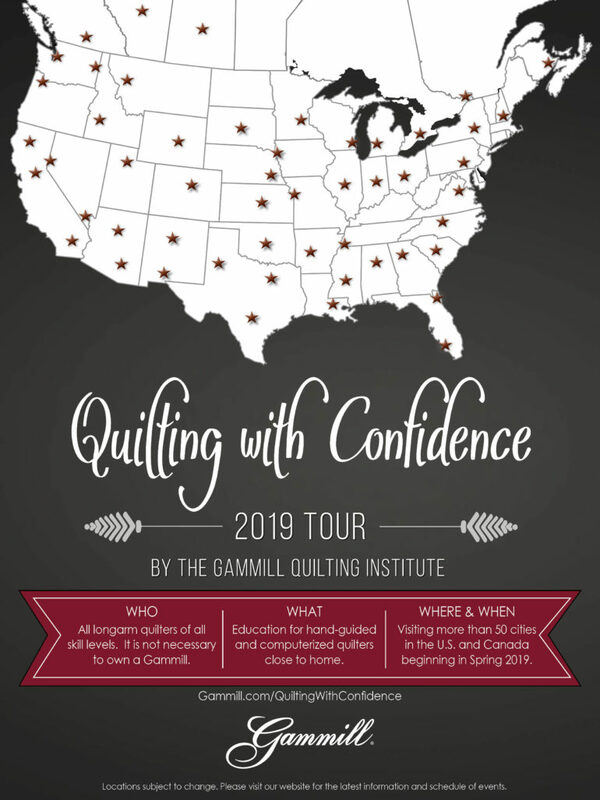 Gammill is having an educational tour and will be traveling to 50+ cities worldwide! For real... we'll be all over the place! I say we'll because I am honored to be part of Gammill's Educational Team. 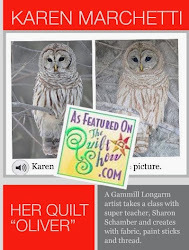 There are fourteen of us, each with our own amazing specialized talents -- all very accomplished quilters. And I truly mean honored -- this is a fantastic group of brilliant quilty people. The preparation for this tour has been going on for quite some time behind the scenes... we are ready! And hopefully you, the students, are too! The class schedule and descriptions for the 2019 tour can be found here -- both for hand guiding as well as computerized users. But here is the really awesome part about this tour -- you don't have to be a Gammill user, owning a Gammill is not a requirement. The only requirement is the desire to learn and gain confidence in your skills! How cool is that?!! So, where are we going? Wow... kinda everywhere, or at least pretty close! You can find all the locations, dates, and details here. Registration has started for the first set of tour dates, and every week or so registration opens for more locations. 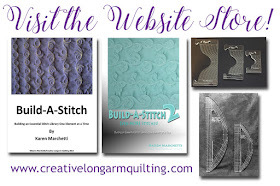 You'll definitely want to check the website often!! I can't wait and I hope to see you at an event soon!! 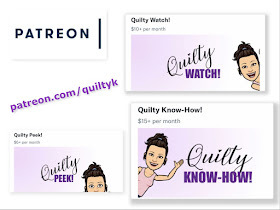 If you click on the What is the cost to attend button bar you should see - The cost to attend a Quilting with Confidence event is $175 USD for one day or $300 USD for both days. Also included in the price is lunch and an afternoon snack.